This is the statement from Chris Sgro, the Executive Director of Equality North Carolina. By “McCrory machine,” he is, of course, referring to the state’s governor. The bill, now state law, passed in March eliminating anti-discrimination protections for the LGBT community and prohibiting transgender individuals from using bathrooms in public buildings that do not match their birth gender. It’s because of this law that the NBA has decided to move the 2017 All-Star Game from Charlotte. The NBA aren’t alone in their sentiments. Bruce Springsteen, Ringo Starr and Itzhak Perlman, canceled concerts in North Carolina. A number of businesses have also canceled plans to create new jobs in the state. The United States Justice Department has challenged the law as a violation of the Civil Rights Act of 1964. Next month a federal judge in Winston-Salem, North Carolina, will hear arguments about whether to block the law while the litigation is pending. “You have two daddies too!” These are the words I overhead a little girl say to my son the other night. Hayden responded, “Yay I do!” Solidification for coming to Family Week – Check. Last Saturday we arrived in Provincetown on Cape Cod. A city we’ve come to know well. Six years ago we visited looking for a place to get married, five years ago we tied the knot here and a few years ago we celebrated the ten year anniversary of our first date. Fond memories have come out of this seaside village town but this week brings it to a whole new level. 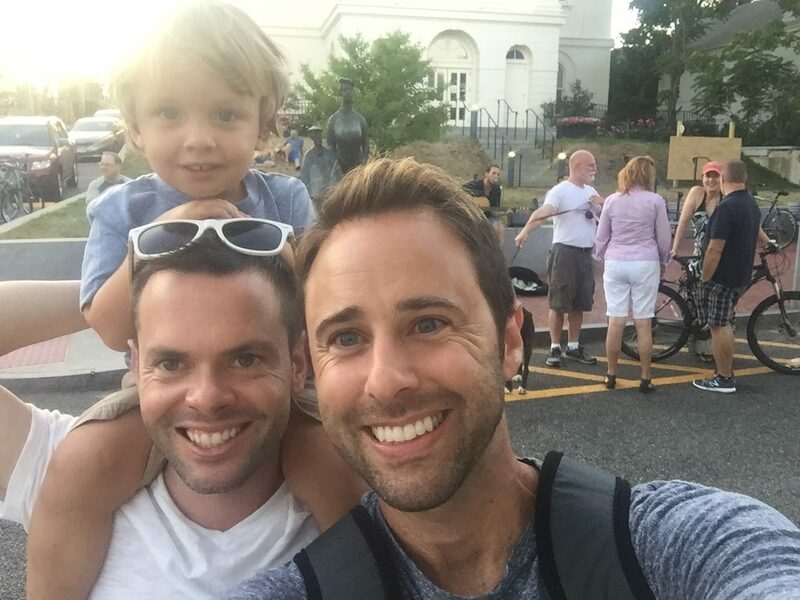 We decided to come to Family Week to give our son a chance to see other families that look just like his, in a way we simply wanted to normalize our family. We are proud to live in a country where most families don’t look alike, however, sadly for our son he never sees his parents hold hands or kiss in public. Some kids have a mom and a dad, some kids are raised by single parents. For our kiddo growing up in Florida, there aren’t too many two-dad families passing by. We’ve reached a point in our society where marriage equality is now legal for all nationwide, but all too often we come across stories advocating against these rights or we hear politicians showcasing their concern for the loss of traditional family values. As I meet all of the incredible families throughout this week all I can think is, traditional family values aren’t lost – they are right here, at Family Week. 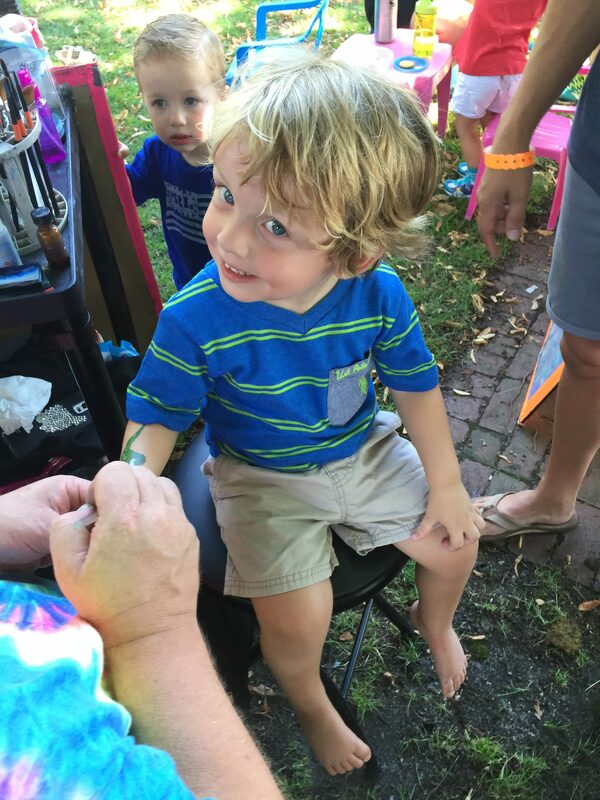 From bonfires on the beach, to cookouts, to face-painting in the park, to afternoon ice cream and strolls on the pier – it seems family values are alive and well. We came here to normalize our family to our son, but it turns out our love and the values we’ve already instilled in him are the best gifts of all. Summer is upon us and we’re all staying cool by laying out at the beach and lounging by the pool. These leisure time activities all involve innocent fun in the water, but inevitably we all read those stories of summertime tragedy, especially with young children. The hard fact is that drowning is the leading cause of injury related death among children between one and four years old and it’s the second leading cause of injury related death among all children. So I took this opportunity to talk to Nick Rubino who owns Sea Star Swim Academy in Orlando, Florida and is a featured listing on Hayden’s List. We discussed his inspiration for swim education, water safety and his commitment to providing an inclusive environment for all his students. Nick was born in upstate New York. During this time his school took Nick’s classes to field trips to farms and was around horses and jockeys. His first vacation to Orlando and eventually moving there in high school brought water into his life. Nick was not a member of any swim teams in high school or college. In fact, he didn’t start swimming until his late teens. Nick believes this is what makes him very relatable to his students, especially his adult students. After training dolphins, whales, sea lions and many other aquatic animals at SeaWorld, Discovery Cove and the Florida Aquarium he wanted his career to continue inspire and contribute to the greater good and he also wanted to be an entrepreneur. This led to Nick starting the Sea Star Swim Academy and working with Swimming for Life. Nick’s entrepreneurial spirit led him to start Sea Star Swim Academy. At Sea Star Swim Academy, Nick provides lesson from babies to adults on how to swim safely. By working with Swimming for Life, Nick is able to give back to the community. Swimming for Life is an organization in Lake County, Florida that provides swim lessons and water safety skills and education scholarships to families with financial limitations, families that adopt and foster, families that take in children with special circumstances and for individuals with special needs. Nick enjoys working with Swimming for Life because it not only provides an important skill and safety but builds confidence in young children in and out of the water. 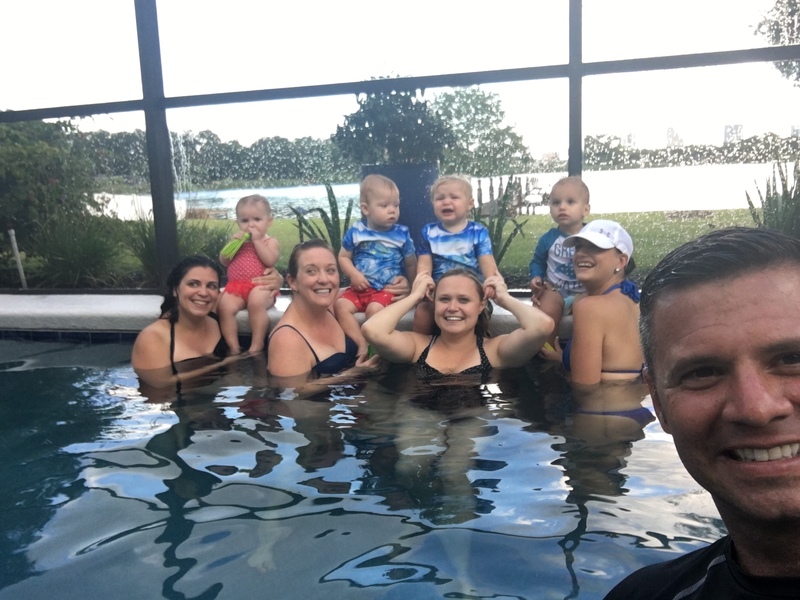 Nick’s strong belief in the mission of Swimming for Life has led him to start his own chapter in Orange County, Florida. With help from the Dawn Brancheau Foundation and the City of Orlando, Nick is expanding the program in 2017. Sea Star Academy’s website offers many tips for water safety for in the home, swimming and boating. Nick’s number one rule for water safety is for parents/guardians: “If your child is in the pool, your eyes are on your child and you’re in arm’s reach”. Cell phones and other electronic devices are huge distractions for parents watching children by water. Nick begins each swim lesson with children by having the child ask his/her parent for permission to enter the pool. This instills the habit in the child to ask permission to swim and makes the parent aware that the child is going in the pool. Nick also has the child bring his/her parent a tag and this tag has water safety tips that can be brought home. I also asked Nick about an issue I’ve read about on social media this summer, secondary drowning or dry drowning. This can happen when your child breathes water into his/her lungs, it can happen while swimming or playing in the water. It is more common in children because of their small size. Nick states that a secondary or dry drowning is very rare and WebMD states they make up only 1% – 2% of all drownings. To avoid secondary or dry drowning, Nick teaches his young pupils about blowing bubbles holding their breath so not to ingest water. However with babies and submersion lessons, Nick follows Red Cross guidelines which are no more than 3 submersions per lesson and stops submersions immediately after a pupil comes up coughing. Nick uses a slower methodical lesson plan compared to other programs. How did Nick establish Sea Star Academy as such an inclusive environment that a LGBT mom group reached out to him to do a “Mommy & Me” group swim lesson? It started when Nick was teaching swim lessons in Tampa and child came in with his gay dads. Nick saw the looks that other instructors and parents gave the dads. It hit Nick that he wanted his business to be welcoming to all members of his community. Besides the “Mommy & Me” group, Sea Star Swim Academy gives lessons to multiple LGBT families. Nick says “I’m a comfortable, safe place, where you can bring your family”. And knowing that his students and their families know his inclusive policy it helps Nick feel comfortable being out with his husband also. A big thank you to Nick for being so welcoming with Sea Star Swim Academy. For more information on Nick and the Sea Star Swim Academy, check out the listing on Hayden’s List here. In Sydney they’re giving serious thought to safety, after the Orlando attacks. The local government has begun several initiatives to better support the LGBT community, one of which is to review lighting in public spaces. She added: ‘I know many still do not feel safe on our city streets. It’s 2016. Hate speech and violence on our streets must stop now.’ – Read more here! There’s no doubt about it, making the historic Stonewall Inn in New York City is a gesture of healing and heart. Declaring the tavern as the country’s first national monument to LGBT rights and history is especially powerful in the wake of Orlando’s tragedy. “I believe our national parks should reflect the full story of our country— the richness and diversity, and the uniquely American spirit that has always defined us. That we are stronger together. That out of many, we are one,” Obama said in a video released by the White House. Watch the video announcing the monument here. Orlando Not a Hate Crime? That’s right. According to the FBI, there’s no proof that Orlando was a hate crime. This, to us, is perplexing. Both the language and the reasoning. Shouldn’t any crime involving the killing of another human being is considered a “hate crime?” In any case, we believe that there is proof. The forty-nine who were shot dead and the fifty-three who were injured. It’s with love that we list the names of those lost to anger and hate. The latest in the American comic show of politics? Trump nominates his sidekick: Pence. Pence also opposed birthright citizenship (the legal principle set forth by the Citizenship Clause of the Fourteenth Amendment to the United States Constitution that all persons born on U.S. soil are citizens).